I’ve never found myself feeling too passionate about a piece of kitchen hardware. But then I started looking for a teapot. 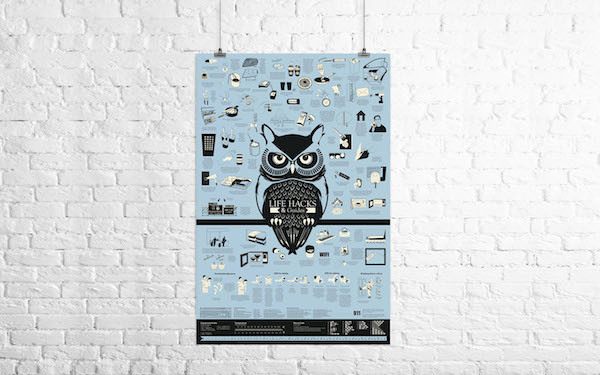 As I browsed through the options, I found the choices to be particularly wanting. Some of the most beautiful teapots were not particularly usable, and some of the most usable teapots were not particularly beautiful. I also, based simply on my personal preference, wanted something that wouldn’t annoyingly emit a shrill whistle when brought to a boil. When these are your requirements for a teapot, you begin to see your options are limited. With this in mind, I was both surprised and delighted to find the ceramic one quart teapot from Staub. The Staub teapot right out of the box, with a charming ribbon affixed to the lid’s handle. Part of the challenge in looking for a tea kettle was finding one that felt right in my house. 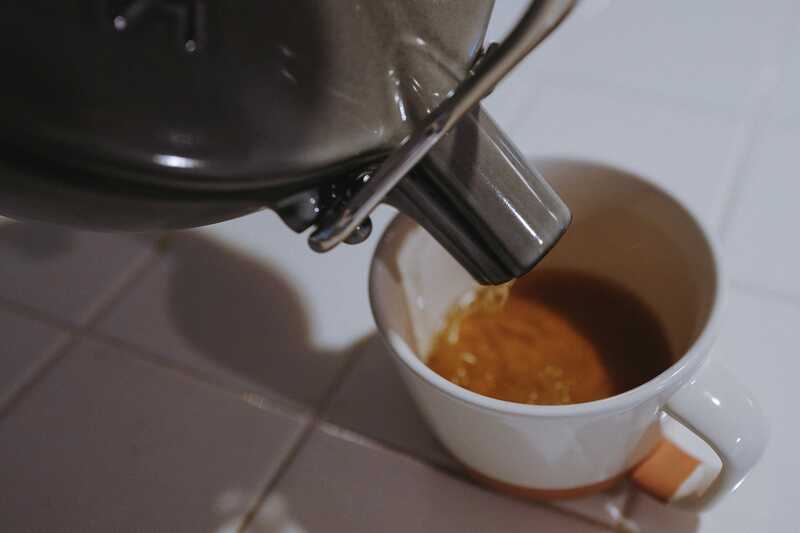 Our home has a cozy kitchen with a base range stove and little room for kitchen appliances, and though neither my wife or myself find ourselves making tea on a nightly basis, we do make it regularly enough to warrant a kettle and teapot of some sort. The Staub teapot is just the kitchen appliance, fitting neatly into a drawer when unused, but always ready to be brought into action. Even when it’s unused, the teapot is so aesthetically pleasing, it’s actually a major benefit to the home. The kitchen eyepiece is created in a beautiful enameled cast iron and comes in several colors like black, “basil” green, “graphite grey”, and “cherry” red. One of the things I enjoy most about the Staub Kettle is the way it can play the role of several kitchen devices at once. Unlike some teapots, it can act as a kettle and heat water up straight on the stove. Unlike some kettles, it can act as a teapot with the included tea ball, and go straight from the stove to a serving tray. The pot is even versatile enough for cooking soups or sauces, and the pouring spout can come in extremely handy. This minimal reduction in clutter is a major benefit to my small kitchen ecosystem. The Staub’s enamel interior, with included tea ball. Part of the beauty of the Staub teapot is its minimal and elegant design. There’s not a whole more to it than a pot, a lid, and a handle. Yet, it’s these components and materials which are a particular trademark for Staub, a cookware company based out of France that specializes in enameled cast iron kitchenware. Staub’s use of cast iron makes their products durable and long lasting, and their use of enamel makes their teapots easy to clean and particularly beautiful. The entire teapot looks decidedly finished and beautiful, in part due to its simplicity. 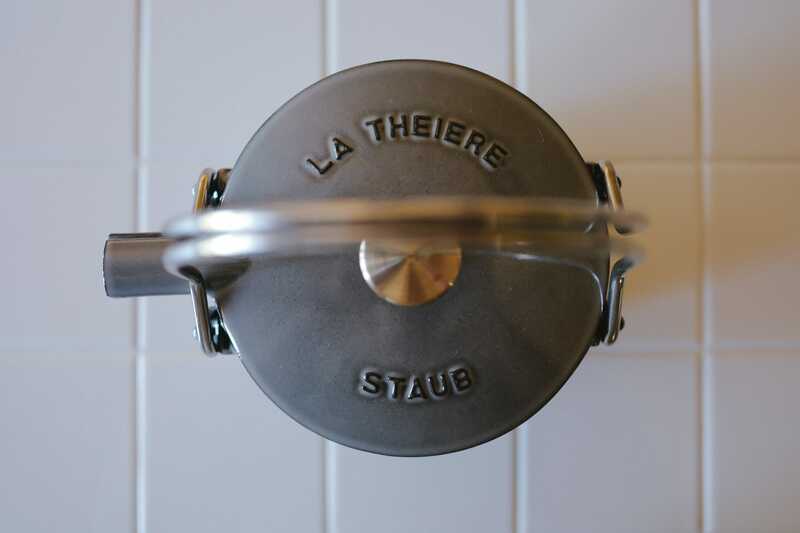 The Staub’s design has a minimal but beautiful branding, with “La Theiere” (the teapot) and “Staub” written across the top, and a stainless steel knob handle in between. The only other writing on the teapot is inside the lid, where the words “Made in France” are subtly embossed within. The Staub teapot’s handles are well placed, and fold down to provide easy access to the interior. 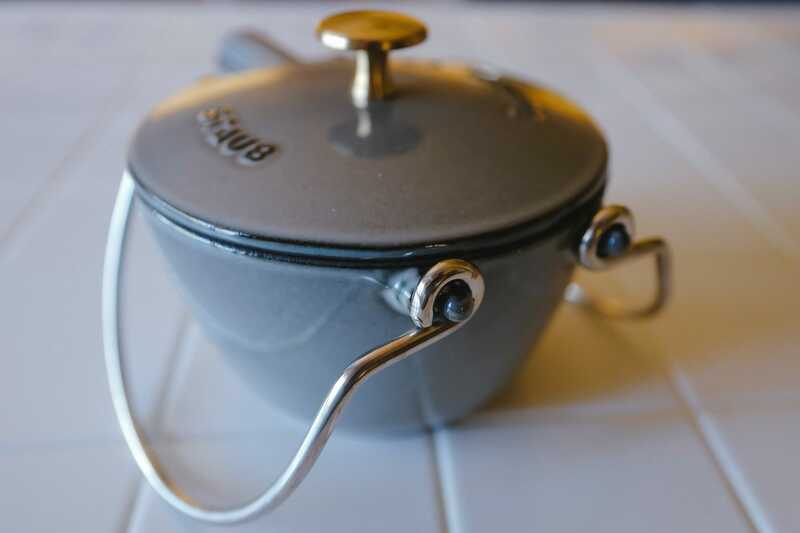 It’s truly the elegant design of each piece which makes the Staub more than a sum of its parts. 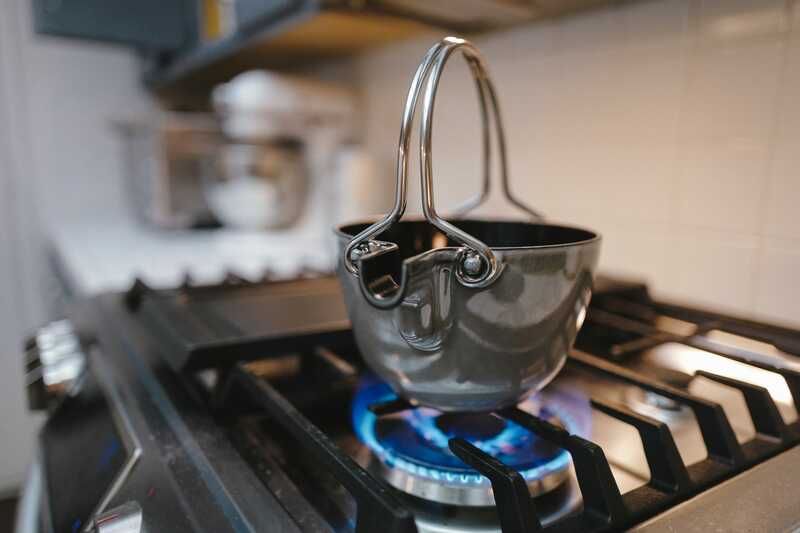 The teapot handle is connected to the pot itself — two pieces of stainless steel that wrap around points on each side of the spout and then meet in the back. Folding these handles down provides easy access to the teapot (and allows you to take the lid on and off), and when combined above the lid as a singular handle, the design provides more than enough support for you to handle the teapot and pour out your tea. There’s not much more branding than what’s found on the top of the Staub’s lid. Inside the lid, the “Made in France” mark. Using the teapot is a very simple affair. 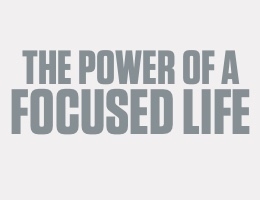 Simply put the kettle on the stove, turn the stove on, and let the heat do the rest of the work. One thing to note about the Staub: it is extremely hot to the touch and not meant to be handled without some sort of protection. Keeping the lid off means the metal handle will heat up quickly, and keeping the lid on will mean the lid’s knob will be too hot to the touch. It would be nice for Staub to have designed a solution for this, but as it goes, I simply make sure I have my hand covered while taking it off heat. 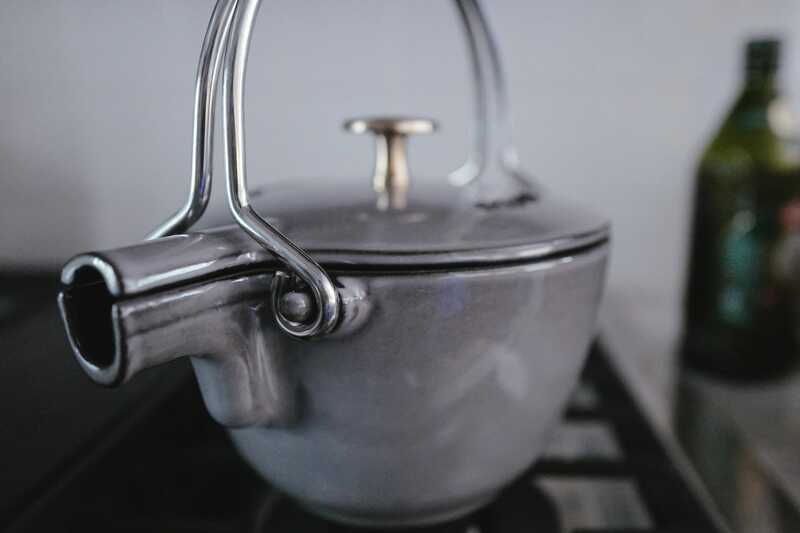 When the Staub teapot is on the stove it not only heats up quite nicely, it also looks great doing it. Serving with the teapot is just as simple as heating it up. 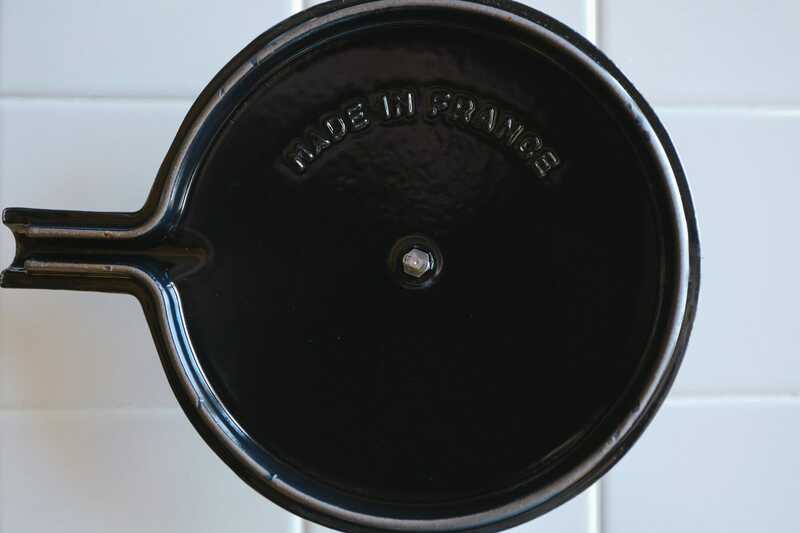 The heavy weight of the cast iron keeps the lid from slipping as you pour, and the entire pot keeps its heat for quite awhile due to the properties of the cast iron. On one occasion, I made some tea, had a cup, and then went back a good deal later for a second cup only to find that it was just as warm as the first. If you find yourself annoyed by having to reheat tea in the microwave, you might find as much enjoyment out of the Staub teapot as I do. Fresh tea, boiled, steeped, and poured. 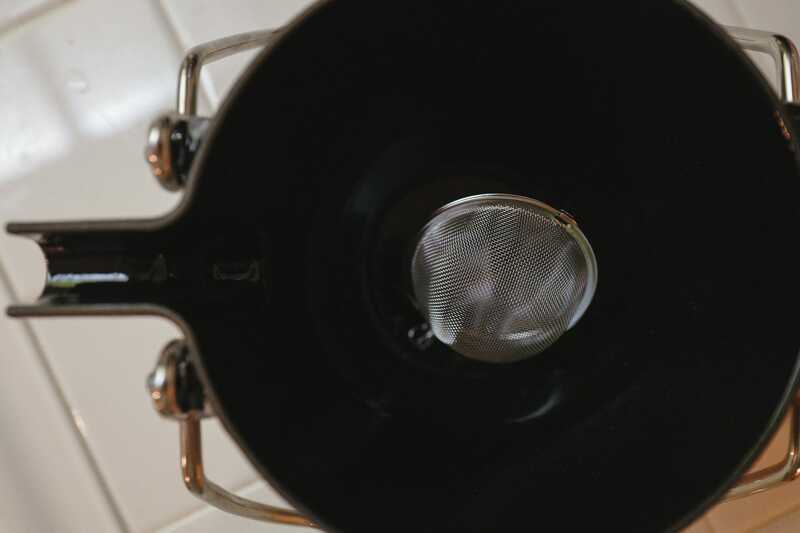 One negative thing about the Staub teapot is in regards to how much water it can hold. Though it’s sized at one quart, I typically fill it with much less water. This is because of the way the spout is designed: The teapot’s spout is cut in half, with half going to the pot itself and the other half going to the lid. Not only is the spout a bit low on the pot itself, it’s also not angled upward. 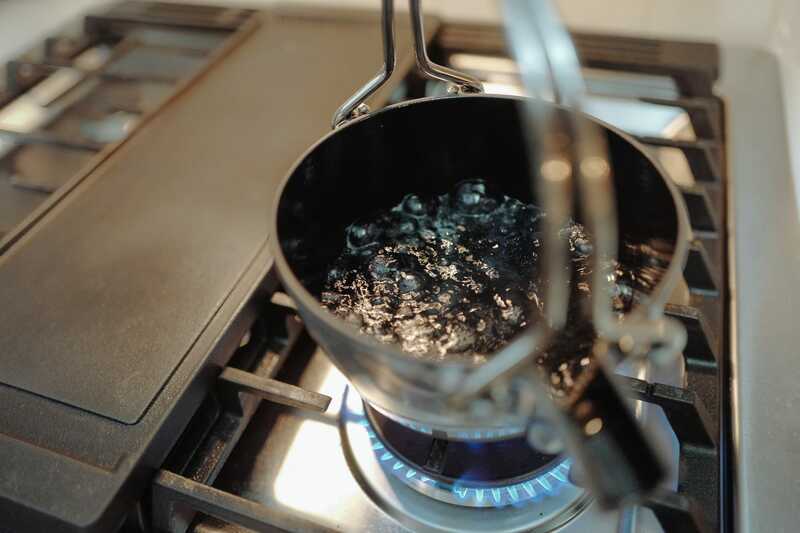 So, if you bring a full quart of water to boil, it might spill out onto your stove top. I’d say the teapot is perfect for making tea for two or three, but any more and you might find yourself pouring a round and then heating up water once more for a second round. For my needs, this isn’t an issue, but a serious tea lover might be left searching for a bigger pot. The Staub’s spout might be a problem for some, though the design is elegant and the two pieces stay firmly in place while pouring. One of my favorite benefits of owning the Staub teapot is simply the way it looks in my kitchen. I’ve grown used to keeping it out on the back of the stovetop, simply because its design is beautiful enough to add a little charm to the kitchen. I’ve also considered how the durable and minimal nature of the kettle would make it great for camping, and plan to bring it along the next time I find myself fireside under the stars. The simple and elegant design of the Staub teapot makes it just as great on a just-made fire as it is on a stovetop. 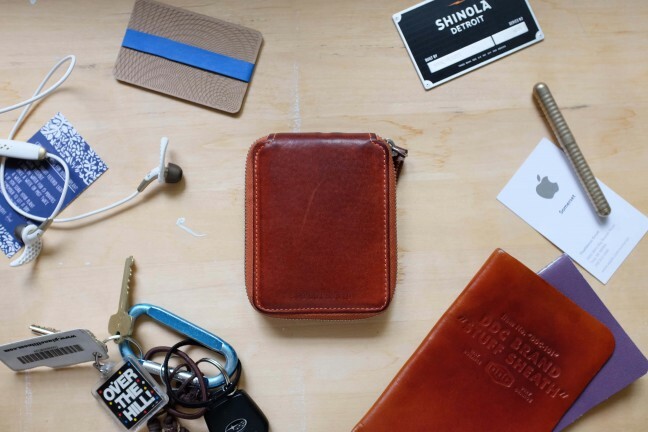 There is something special and unique about items which feel best-in-class. 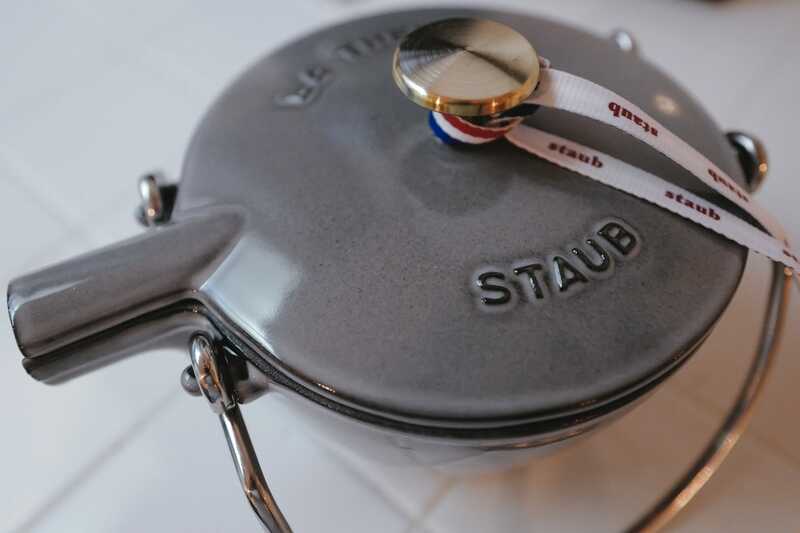 Priced at just about $170 (depending on which color you choose), the Staub certainly costs what you might expect from something in this category and made with these materials. 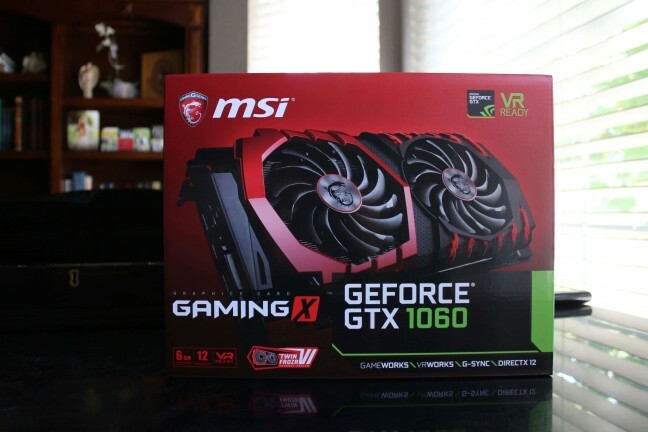 To me, the price is absolutely worth it. Having the Staub teapot in my kitchen brings that best-in-class experience to the art of making tea.